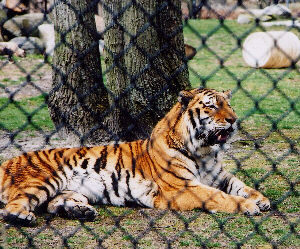 Located just minutes from The Wildwoods, The Cape May County Zoo is an activity for the whole family well worth the visit. 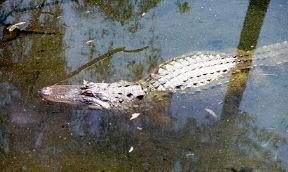 Covering 128 acres, the zoo offers 170 species of animals from otters and turtles to the endangered Bengal Tiger. As the Zoo promotional materials offer, this is "Not a typical small town zoo..." Hardly. 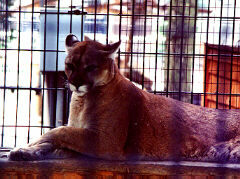 This is a well-maintained attraction that readily holds it own with any of the better big-city zoos in the nation. The zoo is open year round and is FREE! Very few attractions offer as much family fun, and certainly not for free. Whether its bears, giraffes, zebras, or exotic birds that interest you, you'll find them all here. The Boardwalk Catalog highly recommends you make the Cape May County Zoo part of your visit to the Jersey Shore.